Wyn is now 16 months old and her training has ground to a halt, not through lack of trying on my part, but Wyn has decided that the objective of every training session is to avoid being caught. She starts the training beautifully, she runs around the sheep in just the right way, she walks on confidently and turns left and right at the correct distance away from the sheep. For the first half of the training she’ll come off the sheep with ease, tucking close to my heel, but the moment that I even think about ending the training session and putting her on a lead it all goes wrong. My thought seems to transmit to her, and she’s off! She’ll then spend the next half an hour running to the far side of the sheep, always keeping far enough away from me to avoid being caught. It’s not unusual behaviour in a pup of 6 or 8 months old, but by now she should have grown out of it. There are 2 normal methods of dealing with this problem. The first is to work in a very small area, which we have been doing for months, but her work has really outgrown the confines of a paddock. 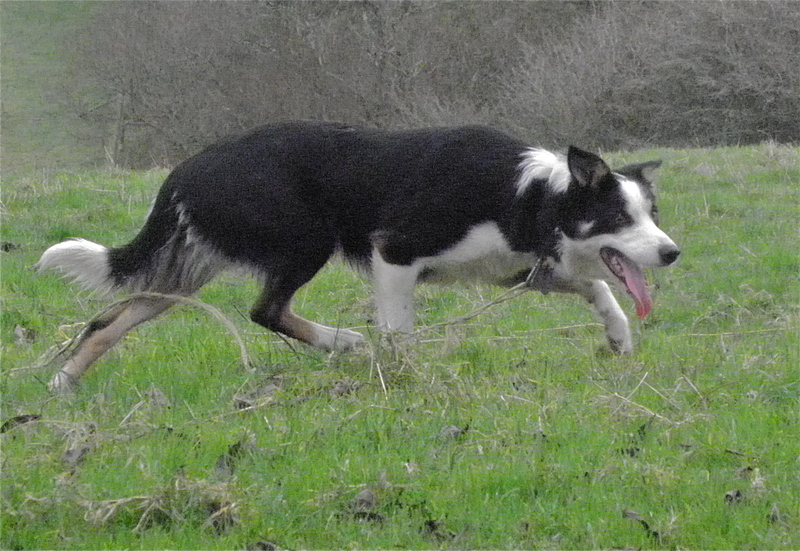 The second is to let her run on a long length of rope, which is something that I only like to do for a few weeks at the beginning of a sheepdogs training. Wyn is crafty enough to realise that she has to keep far enough away to keep the end of the rope from my reach, which is teaching her further bad habits. 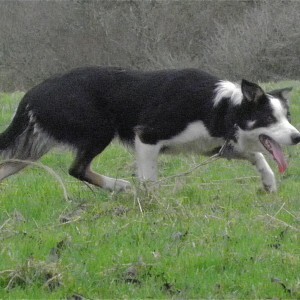 ‘Take time’ is a great moto when training a sheepdog, and I still believe that she has it in her to be a good dog. She’s certainly still immature in many ways, so it may just be that as she gets older, she lose her obstinacy. No two sheepdogs are ever the same to train, and I hope I learn something with each that I work with. My lesson learnt so far with Wyn, is never to predict that a new pup will be easy to train!